Lisa has more than 25 years of litigation experience before state and federal courts. Handled over 70 appeals in state and federal courts, including arguing before the Wisconsin Supreme Court three times since 2010. Previously served as chair of the Appellate Team of Whyte Hirschboeck Dudek. 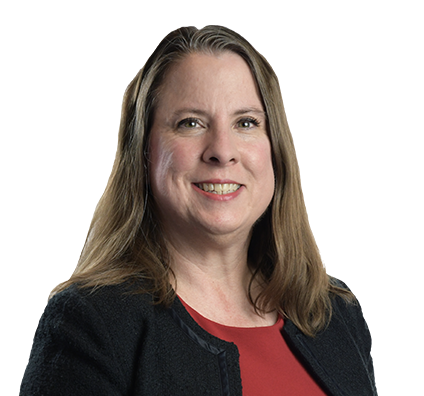 Her appellate experience includes handling matters for consumer financial services companies in state and federal courts in defense of consumer litigation arising under state and federal statutes and common law as well as litigation arising from contested foreclosure matters. Substantially experienced handling litigation on behalf of financial services clients in litigation filed by consumers under the Wisconsin Consumer Act, the Fair Credit Reporting Act, the Fair Debt Collection Practices Act, the Truth in Lending Act, the Real Estate Settlement Procedures Act, and the Home Ownership and Equity Protection Act, and claims under state common law including contract/promissory estoppel claims, good faith and fair dealing claims, fraud claims, and false advertising claims under statute and common law. Recent completed FCRA representations include handling a AAA arbitration on behalf of a creditor defending a claim alleging failure to reasonably investigate claim that debt was paid in full, obtaining finding of no liability under FCRA by arbitrator; defending a FCRA claim in federal court alleging failure to reasonably investigate in response to a consumer’s dispute, resolving case in settlement after filing a motion for summary judgment. Substantially experienced in handling litigation on behalf of mortgage lenders and servicers concerning debts in default and foreclosure, including disputed foreclosures. Recent results include obtaining a judgment of foreclosure and a finding of zero damages under a liability claim for breach of good faith and fair dealing for delayed provision of pay-off statement. Also prevailed in consumer’s appeal of that ruling. Presented argument in numerous motion hearings and made many other appearances before state and federal courts. Substantially experienced briefing procedural and substantive motions in state and federal court as well as disputed discovery issues. Handled numerous mediations and settlement conferences before private mediators and court officials. Briefed arbitration issues before trial courts and courts of appeals including motions to compel arbitration. Handled cases in state and federal courts throughout the United States involving a wide variety of subjects, ranging in size from large-scale complex litigation to medium and smaller cases. Beyond consumer financial services litigation, experienced handling commercial litigation and intellectual property litigation including patent infringement, trademark infringement, copyright, and licensing disputes. Experienced handling defamation and deceptive practices/false advertising claims for publishers and merchants.